The UFC officially announced Friday that Conor McGregor (21-3) will make his return to the Octagon after a nearly two-year hiatus when he challenges Khabib Nurmagomedov (26-0) for the lightweight championship in the main event of UFC 229 on Oct. 6 at the T-Mobile Arena in Las Vegas. This marks McGregor’s first UFC fight since Nov. 12, 2016, when he defeated Eddie Alvarez to capture lightweight gold and become a dual-division champion at 145 and a 155 pounds. He has been stripped of both belts since as he took time off from MMA competition to raise his first first child and pursue a blockbuster boxing bout with Floyd Mayweather. McGregor fought Mayweather last August, losing to the multiple-time world boxing champion via 10th-round TKO. However, the bout was considered a success for all parties involved as the pay-per-view event drew a reported 4.3 million buys in North America and McGregor made a disclosed $30 million purse. It is believed that his final payday was in the nine-figure range after taking into account his percentage of the PPV profits and various other revenue streams. That financial windfall raised questions as to when or if McGregor would fight again, but a rivalry with the unbeaten Nurmagomedov has been brewing for well over a year and the two will now get to settle their score inside the cage. Nurmagomedov has made the most of McGregor’s absence, emerging as the top fighter in the UFC’s loaded lightweight division. He has won all 10 of his UFC contests, dominating the likes of Edson Barboza, Michael Johnson, and Rafael dos Anjos, and earning the promotion’s lightweight championship with a lopsided unanimous decision win over Al Iaquinta at UFC 223 after McGregor was forced to vacate the belt. It was in the days leading up to UFC 223 that the feud between Nurmagomedov and McGregor exploded. Following a confrontation between Nurmagomedov’s team and close McGregor associate Artem Lobov at a hotel in Brooklyn, McGregor showed up at the Barclays Center on April 5 to retaliate. He and several associates went on a rampage in the loading area, culminating in McGregor hurling a dolly at a bus that was transporting several fighters after a scheduled media day, including Nurmagomedov. The dolly shattered a window, resulting in glass scattering and injuring fighters Michael Chiesa and Ray Borg, who were both forced to withdraw from UFC 223. McGregor was charged with three counts of assault and one count of criminal mischief. He agreed to a plea deal with the state of New York on July 26, resulting in no jail time and no criminal record. With his legal matters cleared, McGregor was free to return to the business of negotiating his fight with Nurmagomedov. 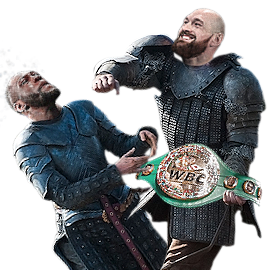 I am IN 100% for this fight. Will make sure to make a night of it one way or another. Anyone in the GTA who is down let me know lets make a FightNight. ^ This fight will be huge. It's 100% too close to call, and it's going to go completely one way or the other. The perfect gamble. The pinnacle of striker vs grappler. I think I am picking Conor.